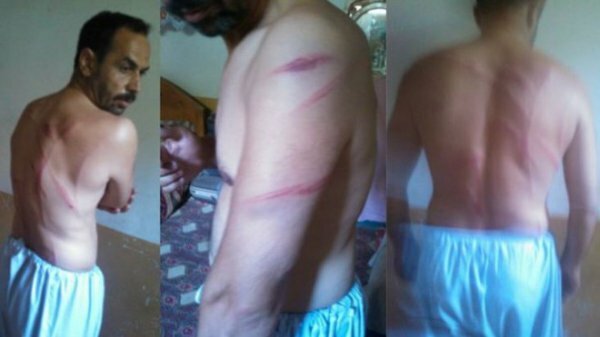 The Asian Human Rights Commission (AHRC) has released details on the police brutality that locals in the occupied Gilgit-Baltistan have suffered, with multiple individuals accounting abuses and episodes of torture they have endured from Pakistani authorities. The AHRC report alleges that the local police, instead of maintaining a general peace, are leading an extortion campaign and beating up those who are refusing to comply. An Asian Human Rights Commission (AHRC) report published on Thursday documented torture in the Gilgit-Baltistan region of Pakistan-occupied Kahsmir (PoK), perpetrated by the very police who are supposed to look after the law and order situation of the region. The report alleges that the local police, instead of maintaining peace, are actually extorting money from people, and beating up those who are not giving them what they want. It may be noted that Gilgit Baltistan was once a part of Jammu and Kashmir, but was occupied by Pakistan following the Partition of India and Pakistan. The region is said to have mutinied with the help of a high-ranking British soldier against the Jammu and Kashmir governor in November 1947, before being occupied by Pakistan. India in 1948 took the entire Kashmir issue to the United Nations Security Council, which ordered Pakistan to retreat and a plebiscite to be held in the region, but Pakistan stay put. Since then, and especially since the 1990s, the region has been governed by laws that say people cannot even move around without first informing the police, and anyone caught and prosecuted for any charge does not have the right to being represented legally, or appeal any verdict against them. This essentially means the authorities have near-unlimited power over the people there, which they are not afraid to use. The AHRC report details one such abuse of power by authority figures. It said: "A relatively peaceful and serene Chalat Bala District, Nagar Gilgit Baltistan region, has been chaotic since the establishment of the Chalat Police station. Instead of maintaining peace and order, the police officers have reportedly been extorting bribes from local residents." The incident in question revolves around one Shabbir Hussain, who had a dispute with his cousin Fida Ali regarding the use of common space between their houses. The report said: "While Shabir was in Dubai, the dispute was presented before a Jirga [like a panchayat in India] of local elders who ruled against him. Because of the Jirga verdict, Shabbir was required to make major changes inside his house. This took time, infuriating Fida, so he lodged a complaint at the Chalat police station." It went on to add: "According to the police account, Shabir was asked to visit the police station a number of times. He refused to oblige. On June 26, 2016, the police invaded his house. He was arrested without a warrant, taken to the police station, illegally detained and beaten with long sticks by Constable Iftikhar and Station House Officer Iqbal." Shabir was released only after influential people from the local community intervened. This incident comes less than a month after residents of a different part of Pakistan-occupied Kashmir protested against elections, which they say were rigged by the ruling party, led by Pakistani Prime Minister M Nawaz Sharif.